State-of-the-art, orderly and satisfying. 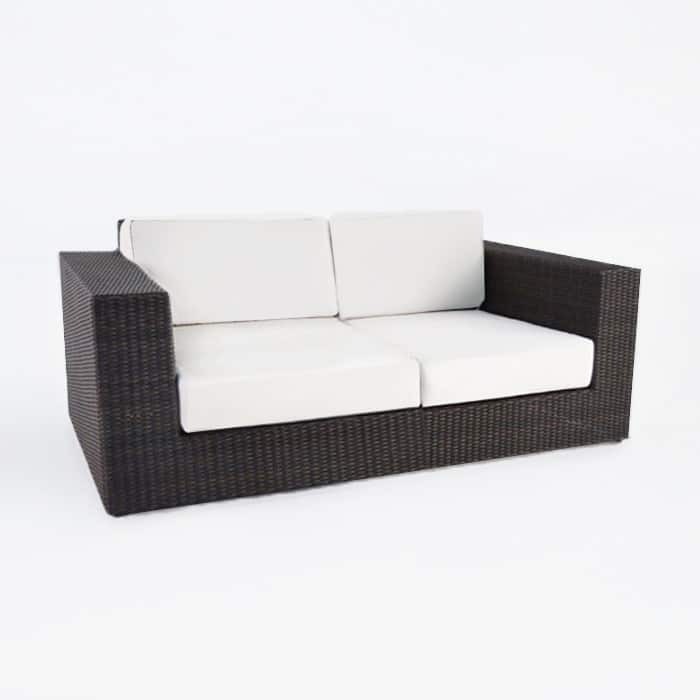 Throw yourself into the comfort of the Austin 2 Seater; an outdoor sofa that knows the meaning of affluence and poise. 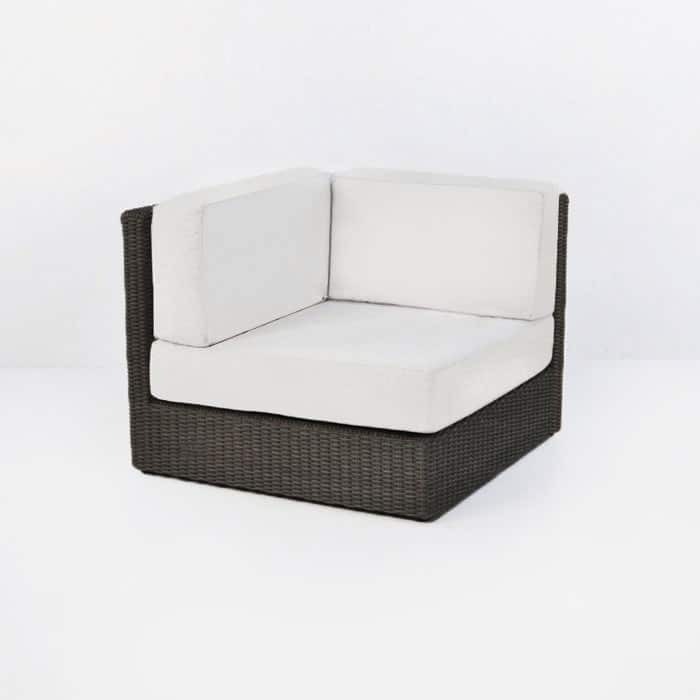 This Wicker Outdoor Sofa is part of the abundant Austin Collection, made up of 7 pieces with the option of sectional or singular seating arrangements; this collection is suave, substantial and grand. Strong, modular lines frame the wide, deep pieces; creating upmarket, contemporary and overall comfortable deep seating for your home or garden! 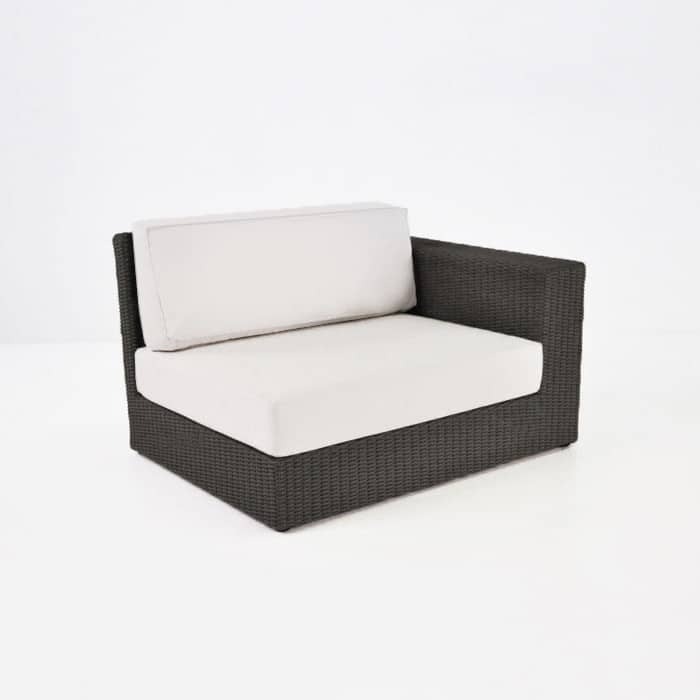 The Austin 2 Seater Outdoor Sofa exhibits the ‘Austin Trademark’ wide armrests; perfect for supporting your drink, food or other items! 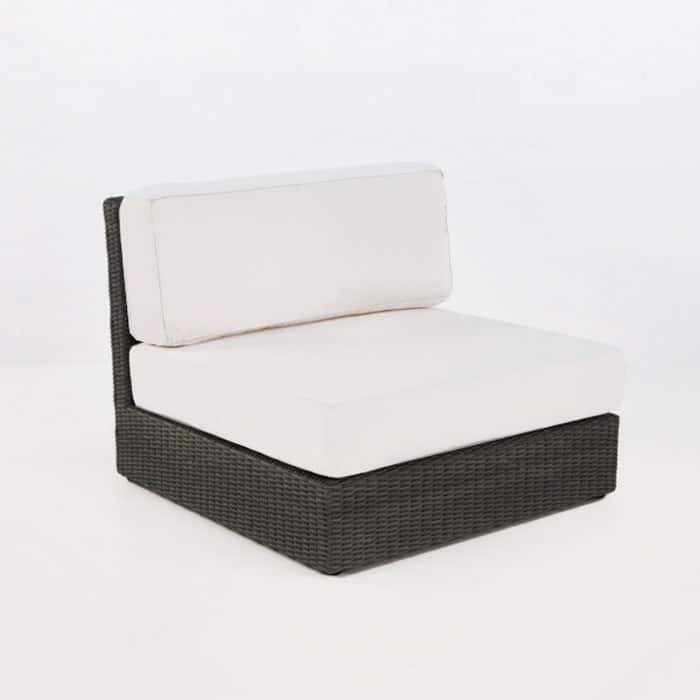 Try it out with an Austin Coffee Table, overlooking your view; fitting for a morning coffee or evening vino. 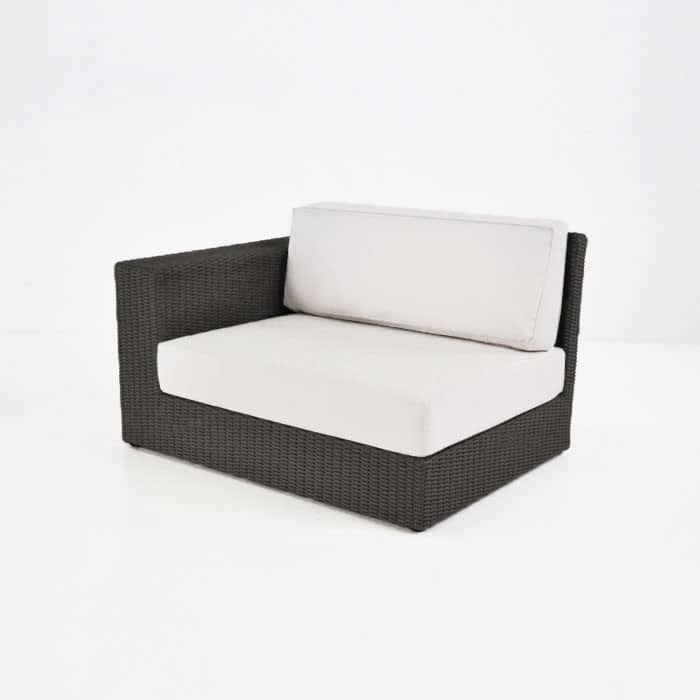 Recline in your Austin 2 Seater surrounded by several Austin Club Chairs for a super, glamorous spot for hosting friends. 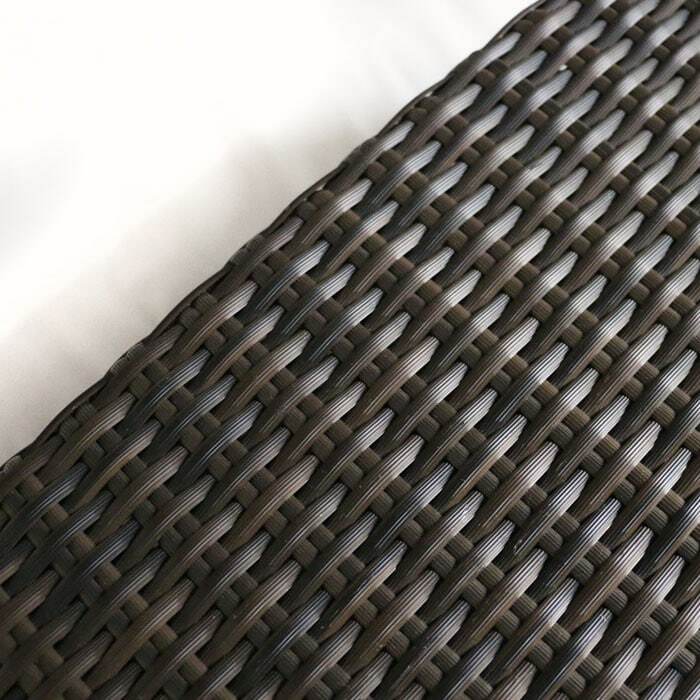 Our Austin Collection is completely suitable and made for outdoor use, with materials of the highest quality: an aluminium frame, wrapped with ever-lasting Viro® wicker and adorned with Sunbrella® cushions that not only look and feel great – they are even more suited for the great outdoors with the filling of dacron wrapped Quick Dry foam! Cushions are FREE with purchase! Cushions are available in Canvas and Taupe. Colour Shown is Canvas. 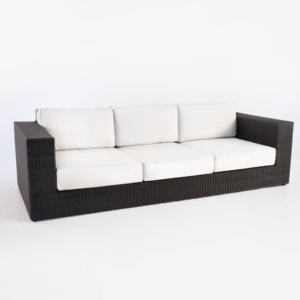 This Wicker Outdoor Sofa and this collection, is available in Antique Java or Kubu. Colour shown is Antique Java.